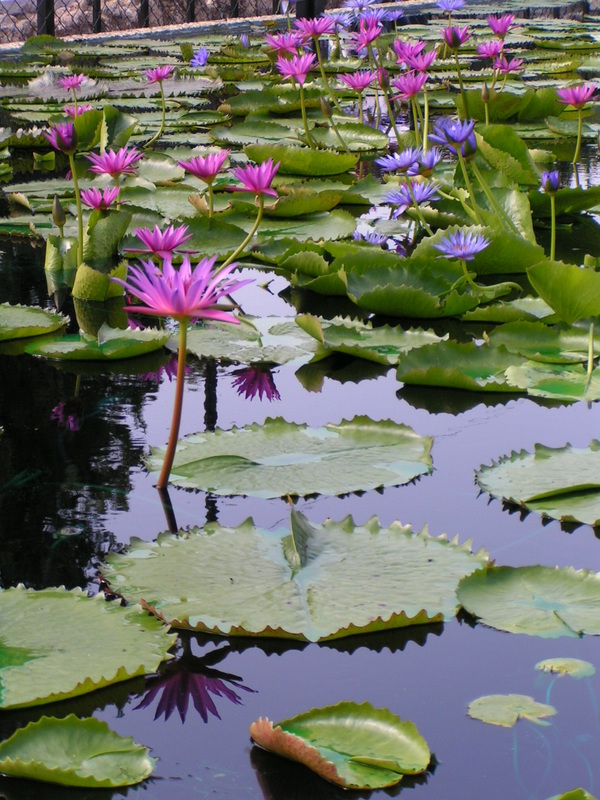 The San Angelo International Water Lily Collection has been designated by the International Water Lily and Water Gardening Society as the premier collection of water lilies in existence in the world. This collection is the life work of Ken Landon, who has been growing, perfecting propagating techniques and hybridizing some of the most amazing water lilies the world has seen. Starting from humble beginnings 20 years ago in the WPA-era sunken Civic League Park as a mere drainage area for excess rain water to run to the Concho River, the gardens now display a fabulous range of colors, sizes, and varieties, including many night-bloomers in seven ponds. The Civic League Park trails meander down to the Concho River where huge cypress trees and stone bridges add an unexpected picturesque addition to the gardens. 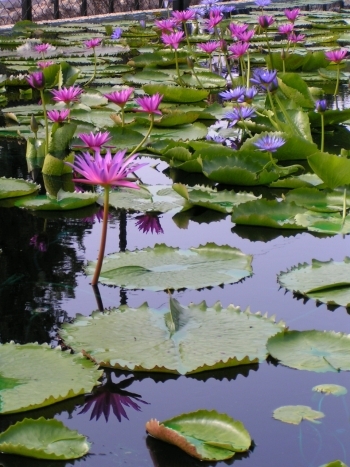 The Official Water Lily of Texas, "The Texas Dawn", was created by San Angelo's own Ken Landon. For more information, visit www.internationalwaterlilycollection.com.